old - just one year after Pretty Women skyrocketed her to fame. in 2000, 2005 and 2010. 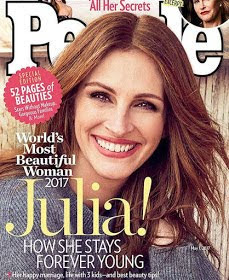 0 Response to "Julia Roberts Named People’sWorld’s Most Beautiful WomanFor Record 5th Time(Photo)"